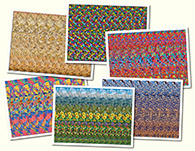 Carlos Contreras Stereogram Gallery : Muerte : Stereogram Images, Games, Video and Software. All Free! 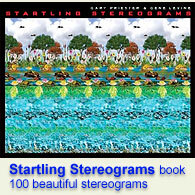 *This stereogram is a courtesy of Carlos Contreras. You may not use this image without owner`s permission. 3. a horse...a boy / girl and a sword..
5. you don t see a lot of comments because they can t get the hidden code lol. anyway i like this one. Naz is right on. 6. I Don t really see the sword? 9. Oh! I thought they were doing something else for a second. Too bad. 10. It s a conquistador being forced from the horse and killed by a native. br You can see the spanish helmet the stone spear and the loincloth! 11. Wow nice job on the conquistador! I didn t get that far. I got as far as a horse staggering above a person on the ground while another person stands next to it. Is there a way to define the picture more? Because my layers aren t blurred but I didn t catch all that you did. 12. The spear was hard to find until I saw the point and was able to follow it up to the killer...like this one alot. 13. horse on too feet with a woman holding a spear standing over a person on the ground.